← Speed up Flex Compilation! Since IntelliJ IDEA 9.0.2 Database Diagram supports drag-and-drop for adding more tables to the view. The screenshot below shows the way to access the diagram if you somehow missed the What’s New in 9.0 page. You can try this right now in the latest EAP. 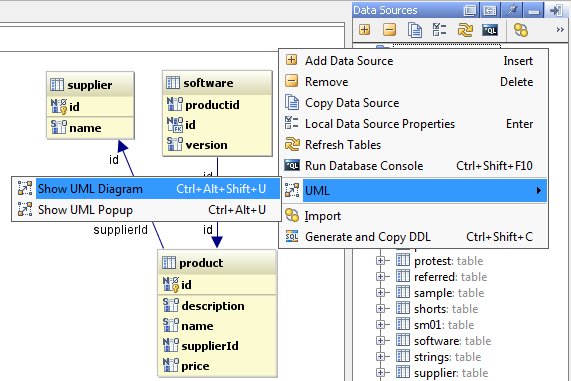 This entry was posted in New Features and tagged Database Tools, UML. Bookmark the permalink.